We have always promoted "Active Relaxation" - clearing your mind through the challenge of learning new skills and the physical demands of a tough day's play. We also understand the luxury of just doing nothing, quietly sitting on the deck, read a book, or simply day dream. This Glow camp for women will be the perfect combination of the two - physical challenge interspersed with relaxation and comfort. 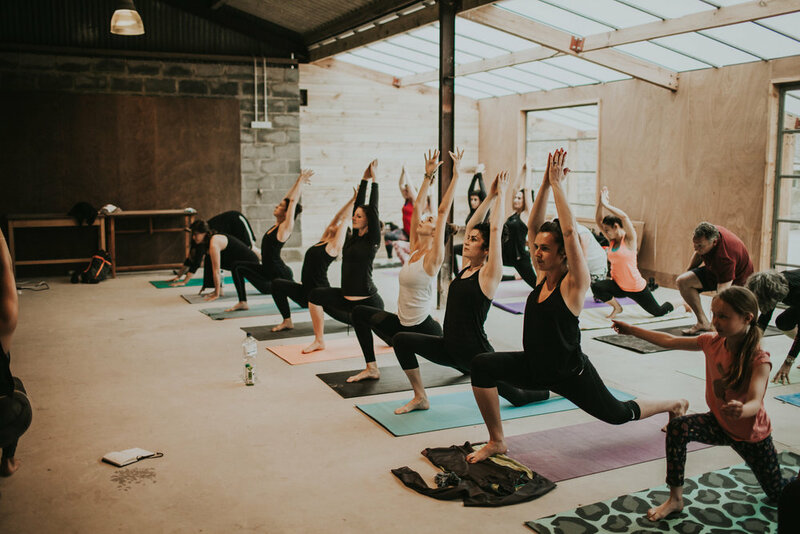 We have partnered with Sophie Hellyer’s Rise Fierce club to bring you 7am swims, soothe your contemplative side with deeply nourishing vinyasa yoga and mindfulness meditations, and give back to the community with a local beach clean up. Come alone or with a friend to enjoy the company and comfort of being a part of this small and intimate gathering. Hosted in the peaceful surroundings of our coastal site with tasty and nourishing vegetarian food. The retreat is set at our coastal site, Manorafon in Penbryn. Accommodation is in private or shared rooms in Ty Manorafon (the main house), Cabins or Domes.